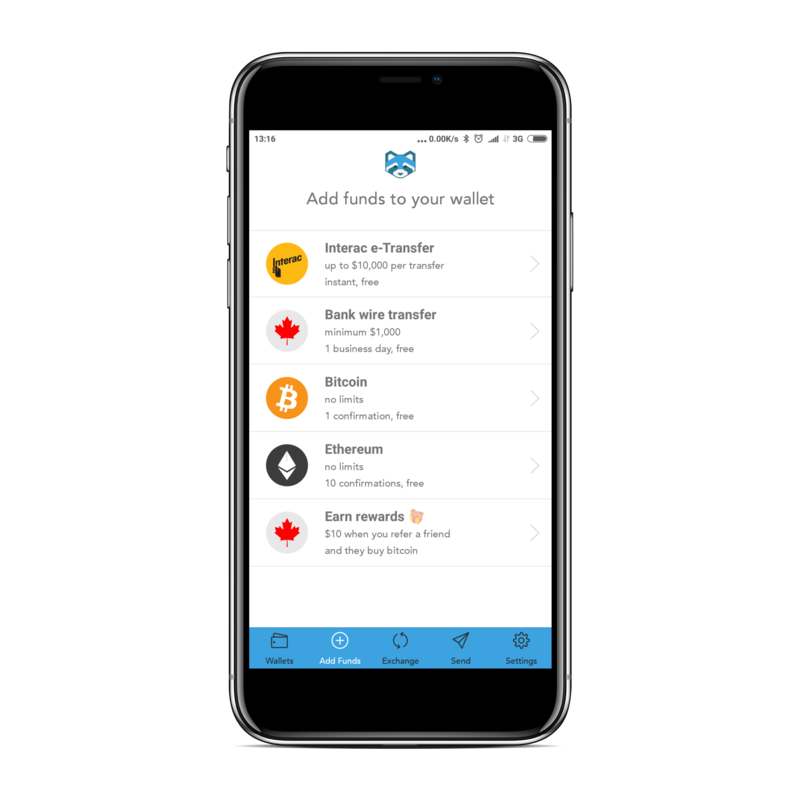 How do I add CAD to my Shakepay account? 1. Click on the "Add funds" button shown on the navigation bar. 2. 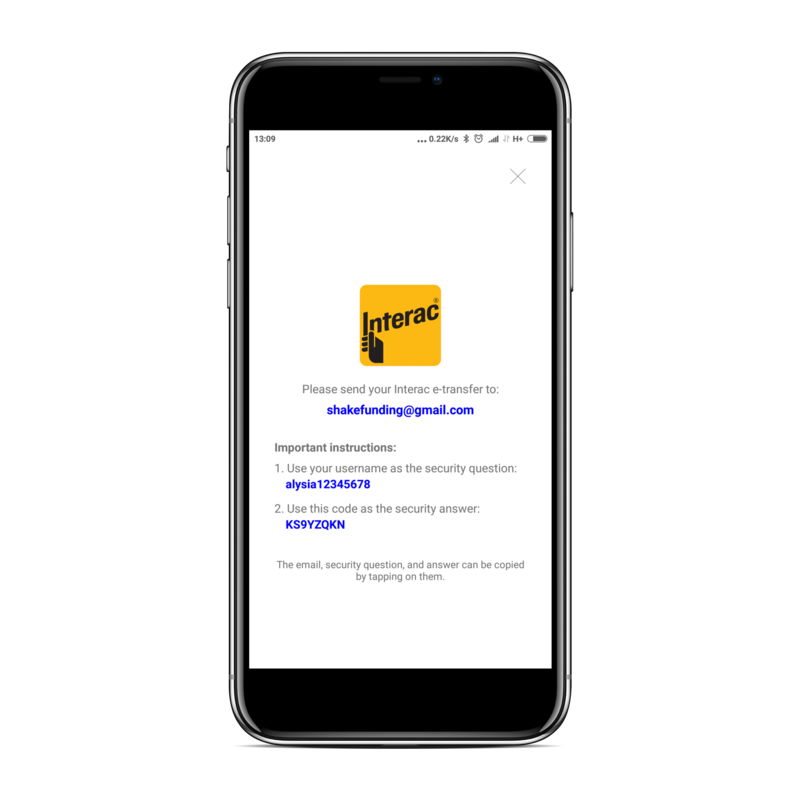 Click on the "Interac e-transfer" field. 3. Tap on the information in each field to copy it as needed. The email address that you will send the e-transfer. Your username, which will be the security question. The code shown, as the security answer. If you want to use wire transfers to fund your Shakepay account, once on the "Add funds" page, just click on "Bank wire transfer". If you have any questions or need any further assistance, don't hesitate to contact support.